Various results from the Valletta 2018 monitoring report were published and discussed today as part of the Culture Matters Seminar happening at the Valletta University Campus. Valletta 2018 European Capital of Culture is driving improvements in the organisation of cultural events in the capital city, the development of its urban fabric as well as business, tourism and the city’s international visibility, research shows. 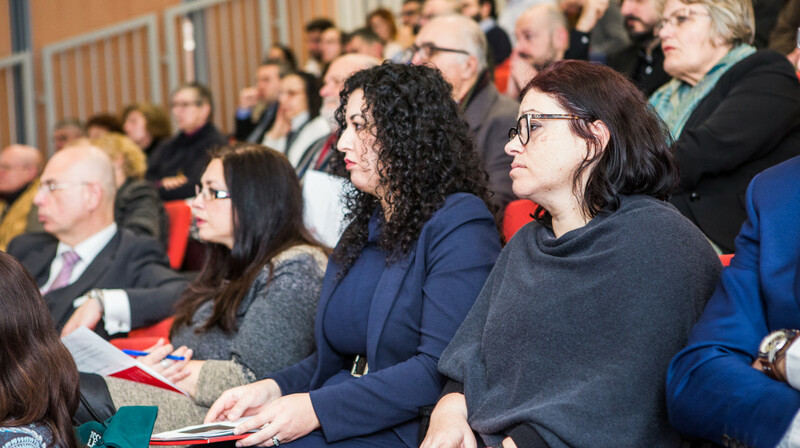 The findings, from a series of quantitative and qualitative research studies carried out by the Valletta 2018 Foundation as part of its ongoing Evaluation and Monitoring process, were presented today during the second Culture Matters seminar held at the University of Malta – Valletta Campus. This Evaluation and Monitoring research process investigates the impacts of Valletta 2018 by focusing on a variety of factors including cultural participation, tourism, social and community life, and the development of the economy and creative industries. Addressing the seminar, Minister for Justice, Culture and Local Government Owen Bonnici said that seeing the results of this research shows that our work in promoting culture and the arts among all members of our society and spreading awareness of their importance at all levels is bearing fruit. “Culture should not be treated as an isolated sphere but rather as a sector that intertwines with all other fundamental pillars of Maltese society. It is deep-seated into our business sector leading to growth and the creation of employment and an elementary part of our tourism industry, supporting one of the largest sectors our economy is based on,” the Minister said. Minister Bonnici stated that for the Government and all involved, the European Capital of Culture is not simply a prestigious title bestowed onto our capital city but rather a long-term project which over the past years has led to many capital investments and a renewed fervour in the arts as well as hightened awareness of our unique culture and history. The Valletta 2018 project aims to leave a lasting legacy for the benefit of all residents beyond Valletta itself reaching local communities and artists. Research shows that 86% of respondents to the Valletta Participation Survey believe that Valletta is changing for the better, with most respondents agreeing very strongly that Valletta is a city rich in culture. On the tourism front, 28% of tourists, up 5% from the previous year, knew about Valletta 2018 before visiting Malta, while 58% who were initially not aware of Valletta 2018, were made aware during their stay. Almost 90% of tourists are likely to recommend Valletta to friends and family. When it comes to the economy, Culture and Creative Industries (CCIs) accounted for 7% of the total Gross Value Added created by the Maltese economy, and higher than the construction and civil engineering sector (4%) and accommodation and food services sector (5%). CCIs continued to grow at an average rate of 9% per year over the period of 2010 to 2015, and they account for 6% of total full- and part-time employment, resulting in the creation 2,800 new jobs between 2010 and 2015. The Steering Committee of the Evaluation and Monitoring process is made up of a number of public entities including the National Statistics Office, Malta Tourism Authority, the Economic Policy Department, together with Arts Council Malta and Jobsplus, together with various independent researchers and academics, each of which is carrying out research in their respective area of expertise.